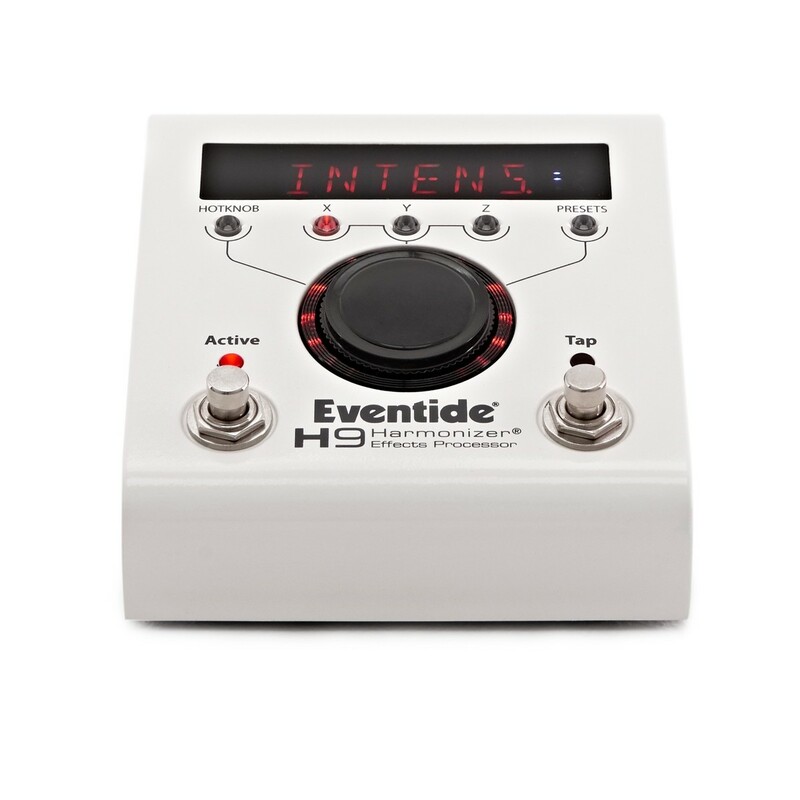 The Eventide H9 Harmonizer Effects Processor is a complete pedalboard comprised into one pedal. The H9 Harmonizer comes pre-loaded with 9 effect algorithms, and 99 presets that are easy to access with the one-knob user interface. The Eventide H9 features 2 on-board footswitches that let you change presets, tap tempo, and bypass during a live performance. Recreate iconic sounds from many top artists, engineers, and producers such as Steve Vai, Jimmy Page, Eddie Van Halen, Richard Devine, Suzane Ciani and more. 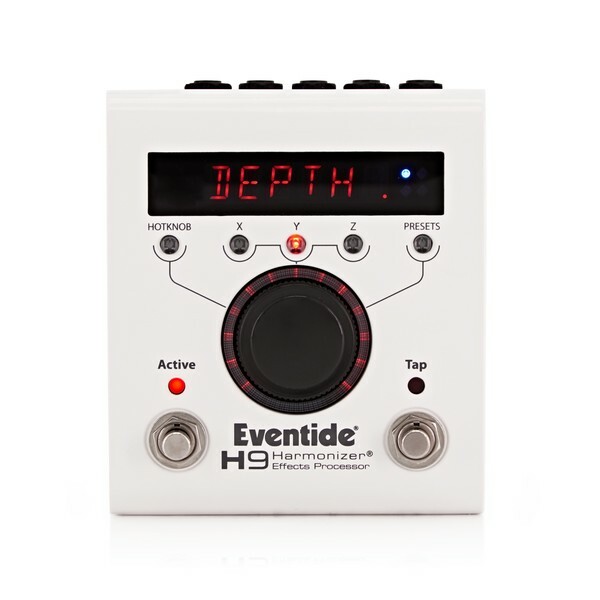 The Eventide H9 Harmonizer is a complete pedalboard in one pedal. The H9 Harmonizer provides you with a range of Eventide's iconic reverb, delay, chorus, modulation, pitch-shifting, and distortion effects. 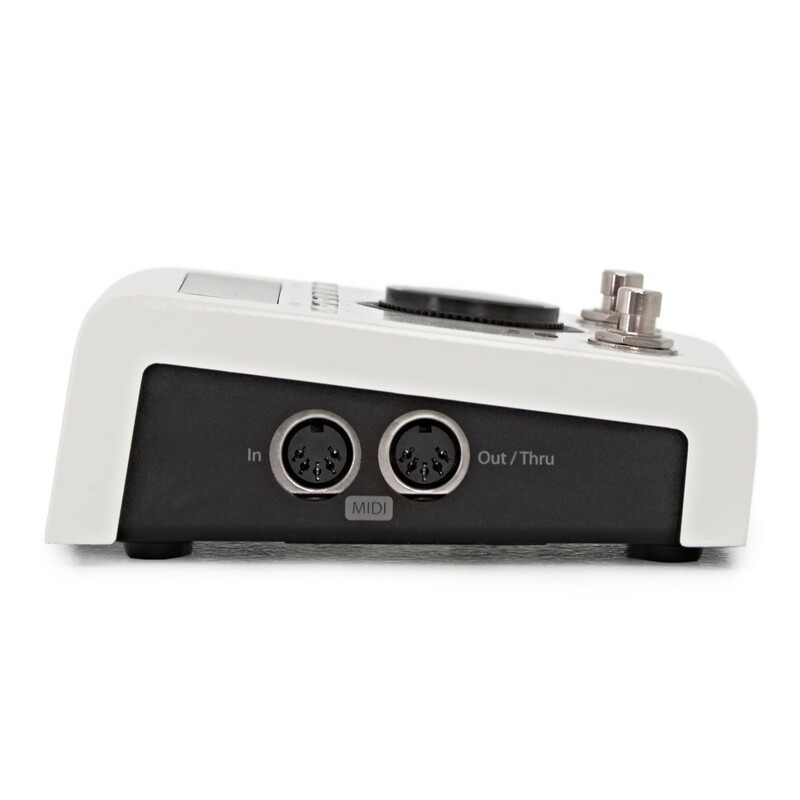 It is an all-in-one, portable solution for the professional and working guitar player, allowing you to take just 1 pedal with you to all your gigs. The H9 features some of the top effect algorithms from their TimeFactor, ModFactor, PitchFactor, and Space pedals, as well as an UltraTap delay specifically made for the H9. 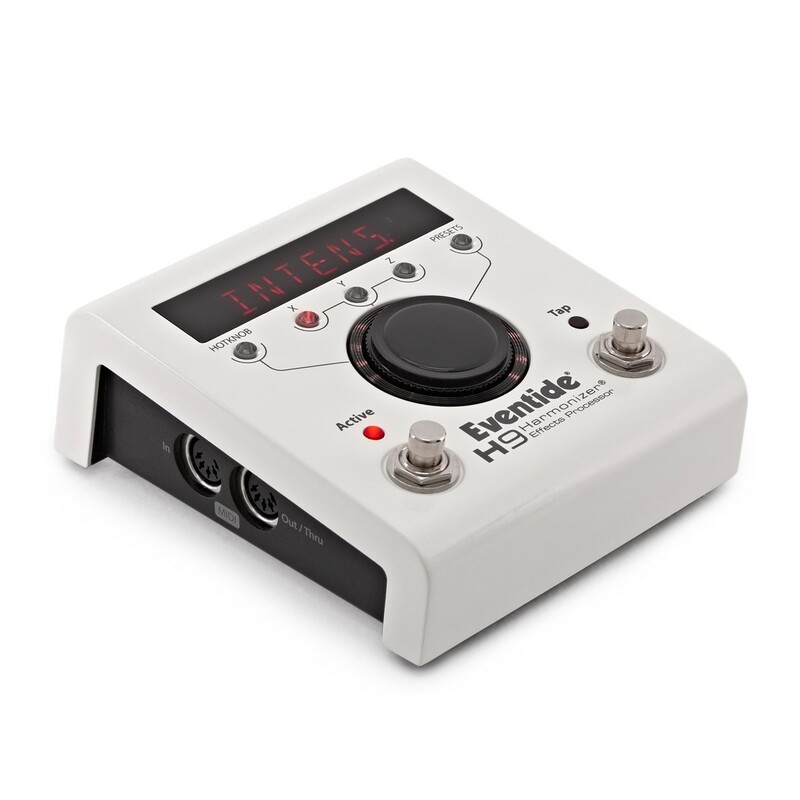 The H9 Hamonizer features a simple, one-knob user interface for easy operation. This allows for easy effect editing and preset browsing/selection. The 2 on-board switches are used to switch between presets, tap tempo, and bypass with your feet during a live performance. 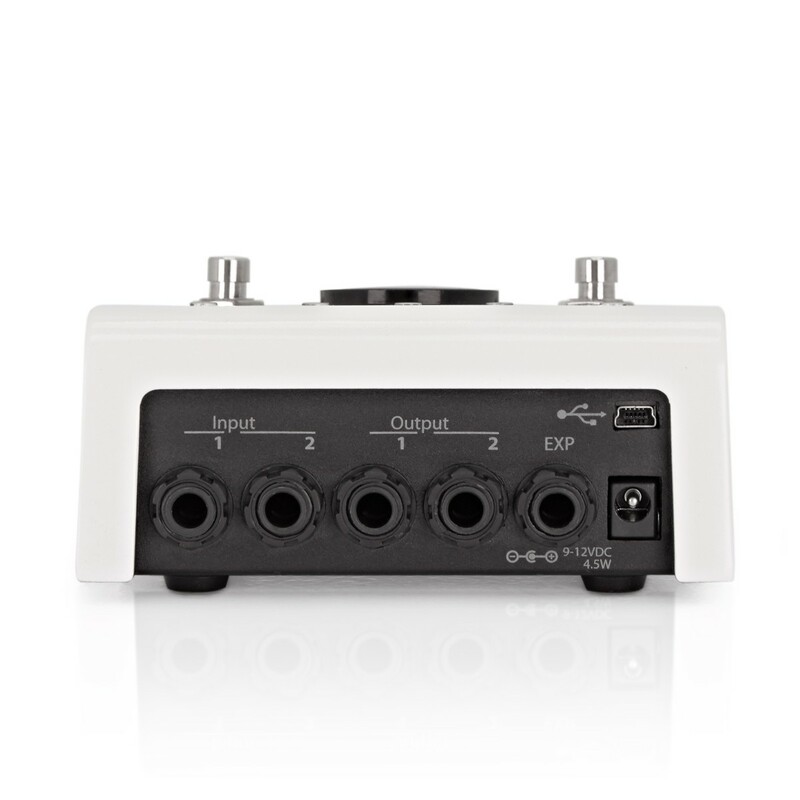 The H9 Harmonizer offers stereo I/O. and full MIDI compatibility. While the H9 is fully controllable via its front panel, a free iOS app (H9 Control) can be download to iPhone and iPad for editing, creating, and managing presets. With the app you can purchase new algorithms, create set lists, edit and manage presets wireless via Bluetooth or USB. 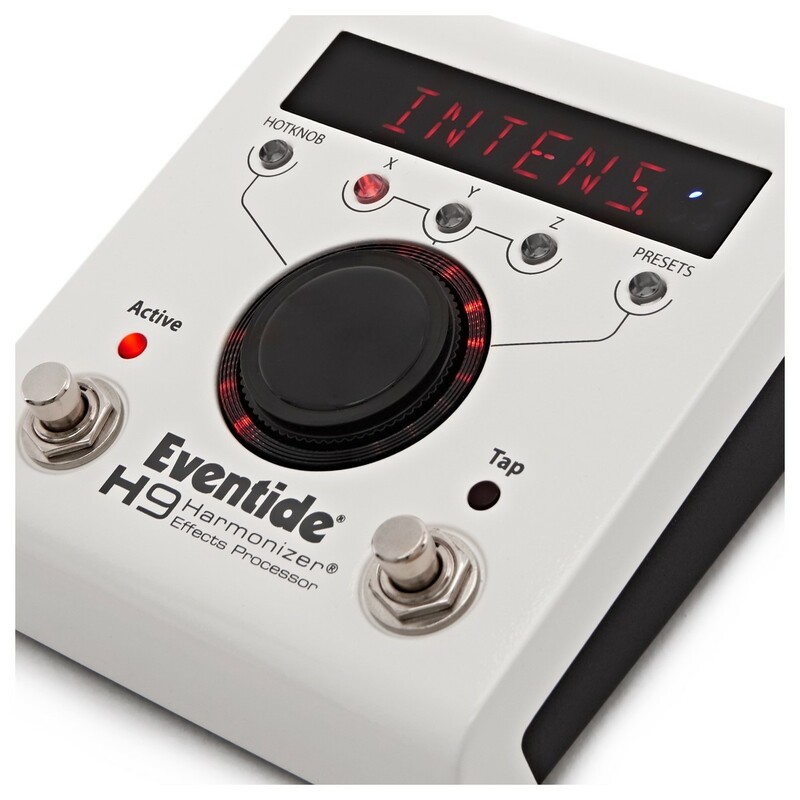 For more information on the Eventide H9, please refer to the PDF above.